Desktop & Web Scans: Quality scans suitable for web use, layout, quick brochures, or small format printing from your Color and B&W Negatives or Slides, saved as JPEG or TIFF files directly to a disk or thumb drive. RGB TIFF is the default format. We will also scan prints up to 11″ by 17″ in size. Price includes cropping, sizing, and reasonable color correction. For additional Retouching or Color Correction Please see prices below. 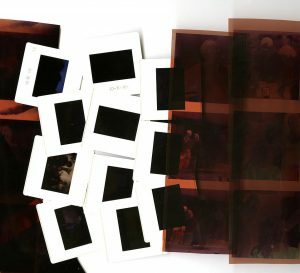 Scans of selected, un-cropped 35mm and medium format Negative or Slide images in standard file sizes (4.5mb, 6mb, 18mb, etc.) Suitable for casual screen viewing or for non-critical printing. File size varies with film format. JPEG files are recommended for casual viewing. TIFF files available on request. Single cut 35mm negatives must be mounted. Files may be downloaded directly from your memory card or other media. File sizes will be automatically adjusted within reason, print size determined by format. **Prices and specifications are subject to change without notice.